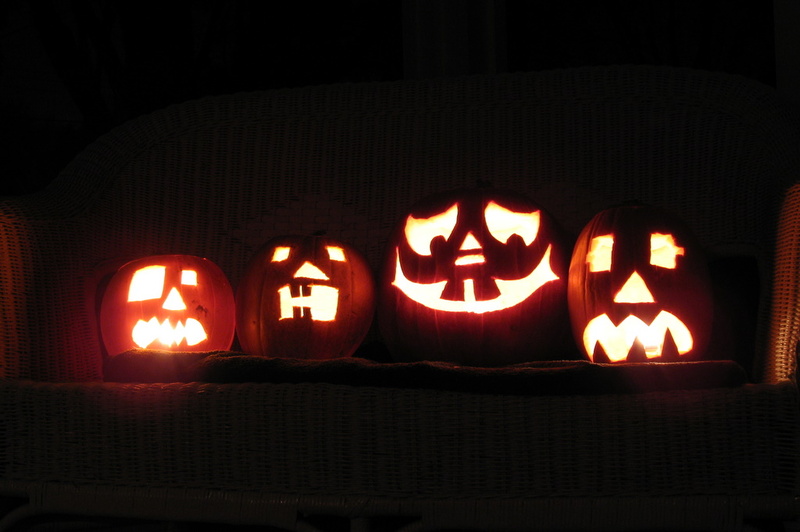 Our Halloween pumpkin carving creations for 2008. Created by my two kids, my wife and myself. Be safe, have fun, enjoy. 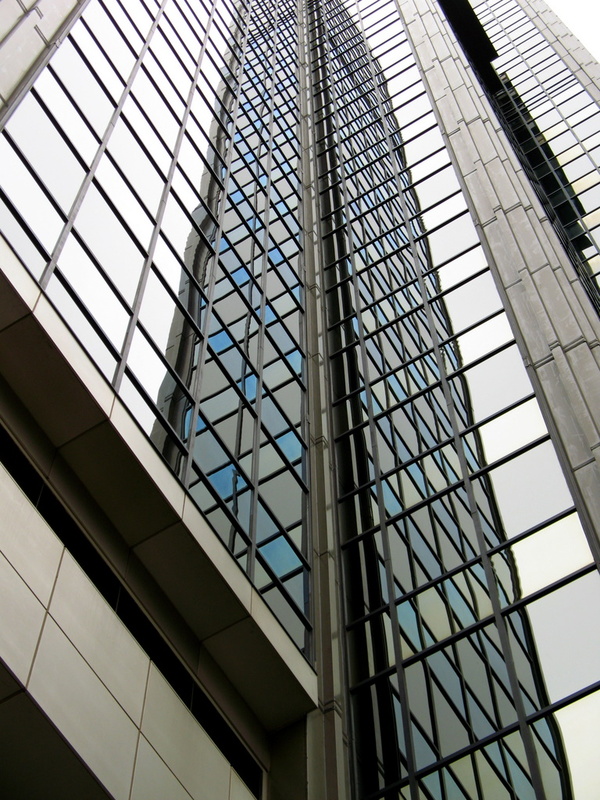 Another reflective gem of the AmHoist building. Does the slogan 'More bars in more places' come to mind? 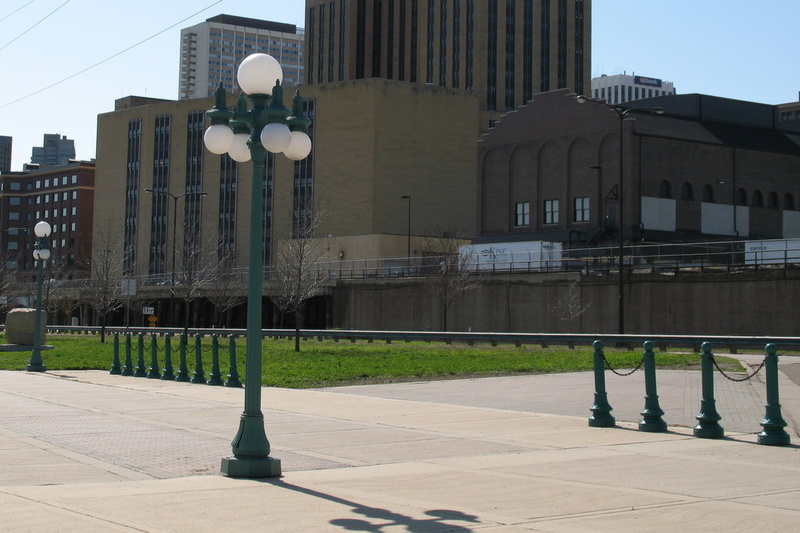 With the Mississippi River to my back, the larger building in the background center is the St Paul Postal Office. 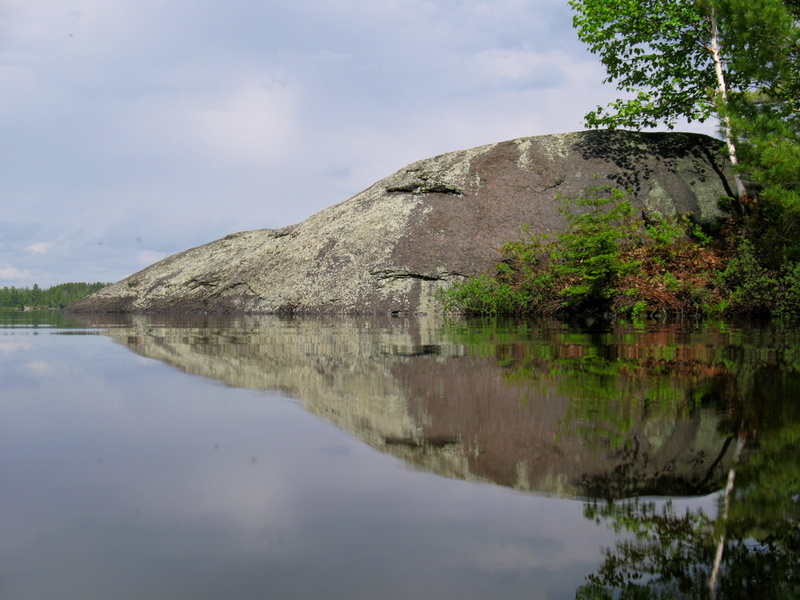 If you saw yesterday's photo, you saw a couple of kids playing in the water. With a topside view, it's revealed what they were playing with in the water. 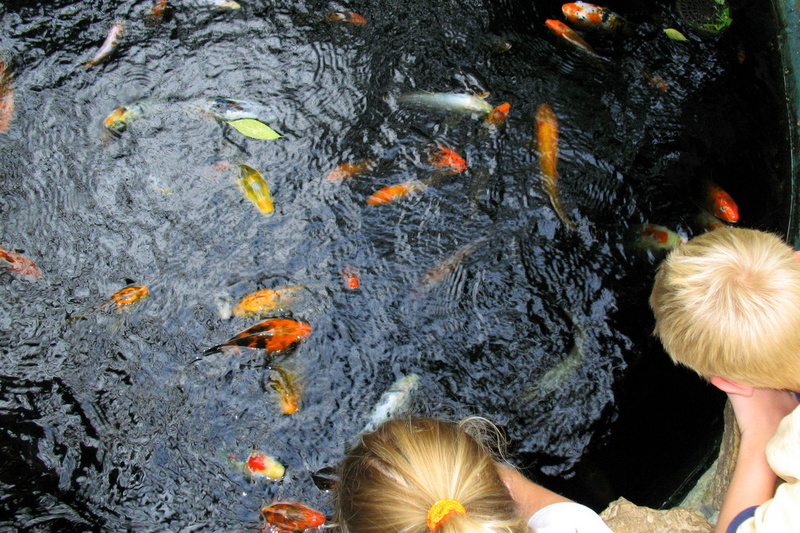 Could you resist playing with the Koi fish if you were a young child? These Koi are quite interesting as they poke their heads out of water and you're able to see their mouths appear to breath the air. As long as I can recall, the Conservatory at Como Park has always kept Koi in this water tank. 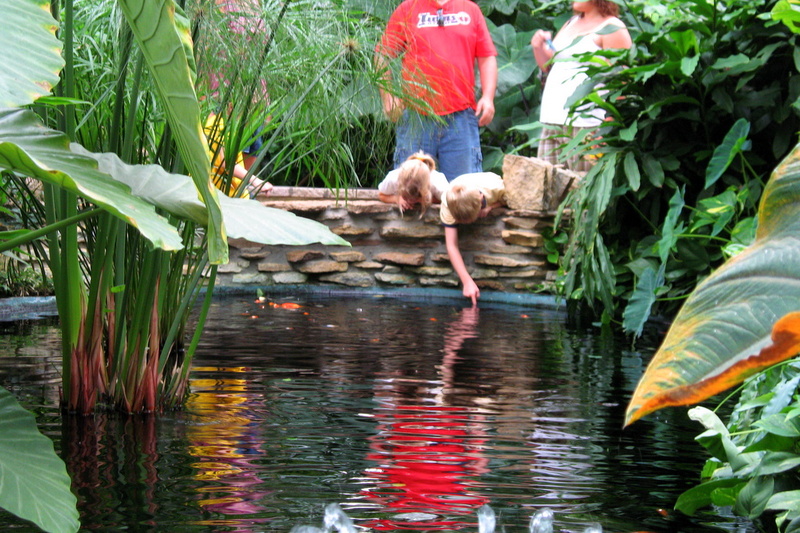 One of the ponds in the Conservatory at Como Park. Where there is water, you'll often find kids playing in it. Today was no exception. 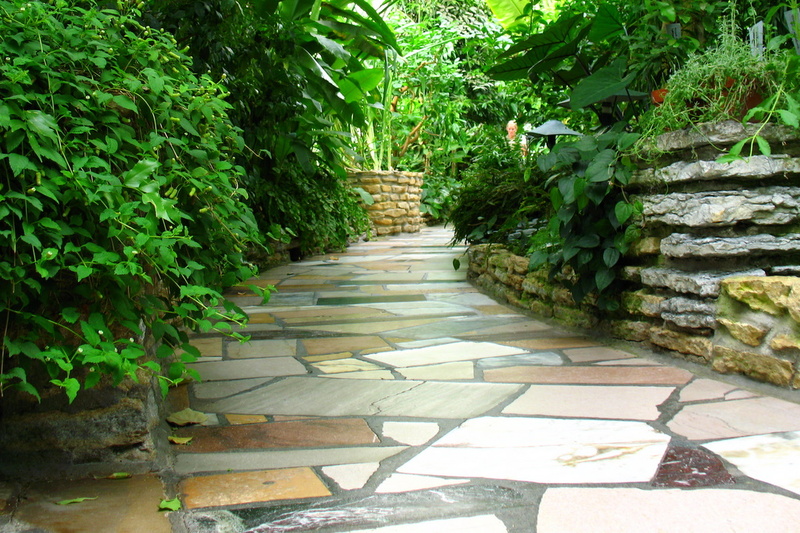 Down low on one of the paths in the Conservatory at Como Park in St Paul. 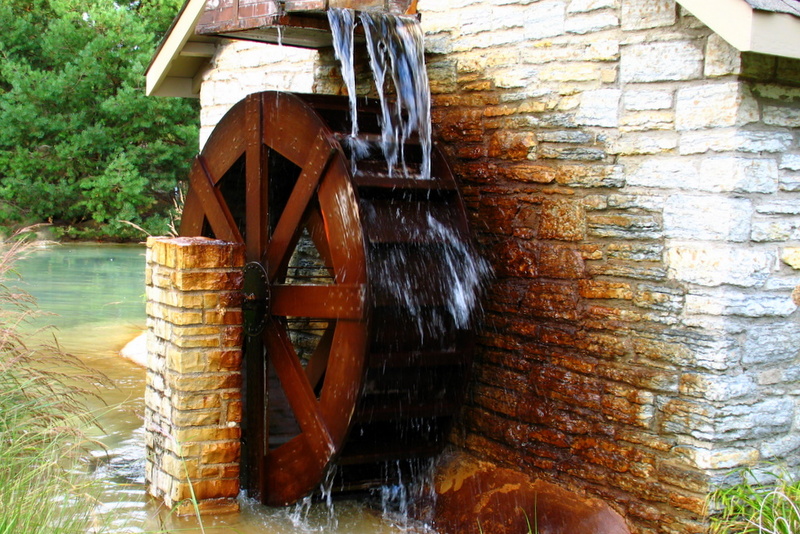 This water wheel house, built in 1951 at Como Park can be found in the bird yard. I absolutely love the rust colored stone walls. Como Park has been around since 1897 and is a publicly funded park, though it survives by donations from the users of the park and local companies who donate. 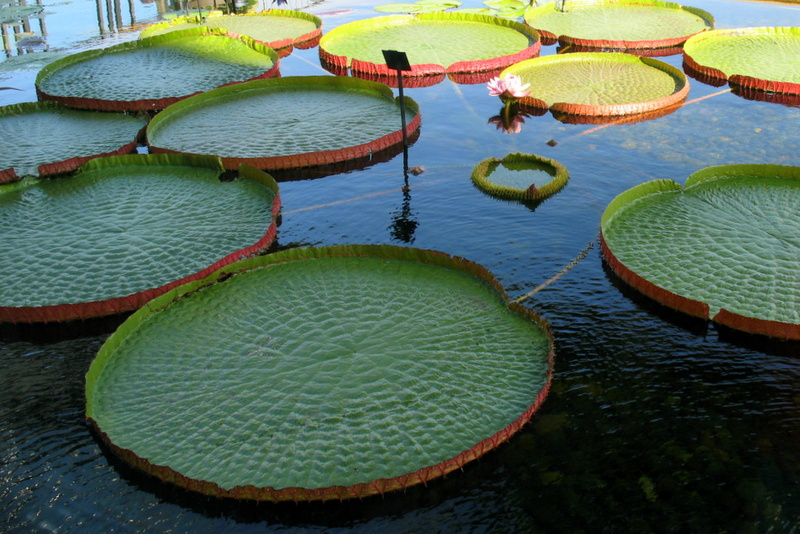 These monster lily pads measure roughly 6 feet across!! From what I could see, each monster lily pad has a vine that attaches to the smaller ring which is just about in the center of the photo. I'd never seen these before and have no idea what their official name is. They can be found during the warmer climate months at the Como Zoo in St Paul. 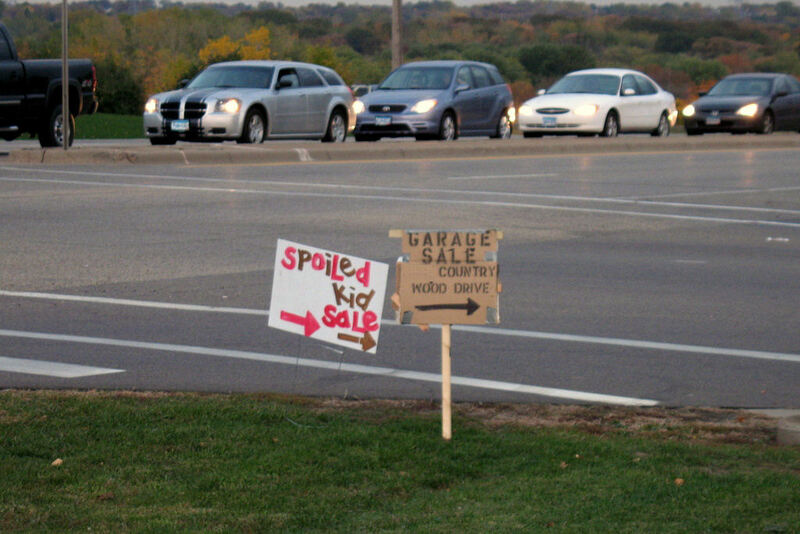 One has to appreciate the honesty this parent has with this custom garage sale sign I drove past the other day. After I passed the sign and realized what it said, I had to turn around, go back and capture a photo. It was too good to pass up. At one time, this theater was run down, decayed, and a scary place to be around. 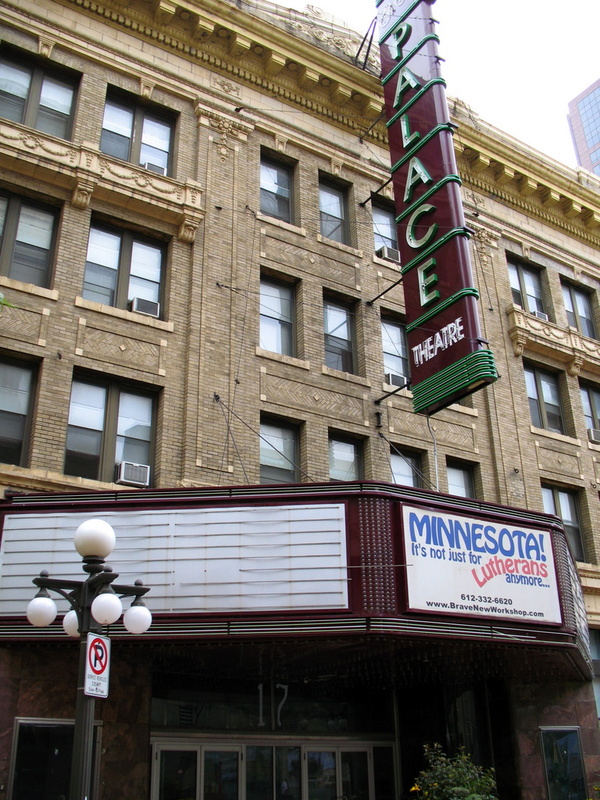 Today, the Palace Theatre, from the website address in the sign, is now a comedy and improve theater. The place has had quite the turn around. You can find this revamped theater in downtown St Paul. There are two wings attached to the JJ Hill public library in St Paul. I'm standing in one of them taking the photo. I really like all of the keystones that the windows have. A bit of a different view than one is used to seeing from the street level. 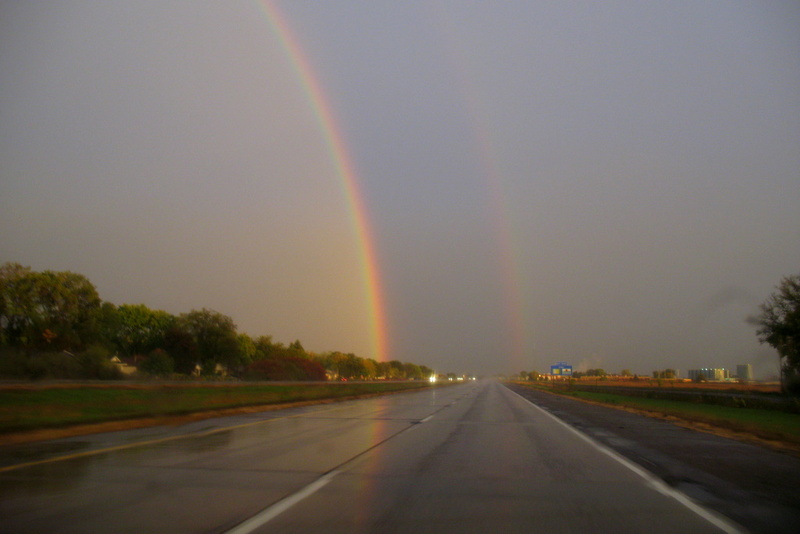 Captured on Highway 61 in Cottage Grove shortly after a storm passed through. I was glad the road co-operated enough to get the reflection on the road. If you look close enough, you can see two rainbows with a slight reflection for the second. Or at least that's how I see it. 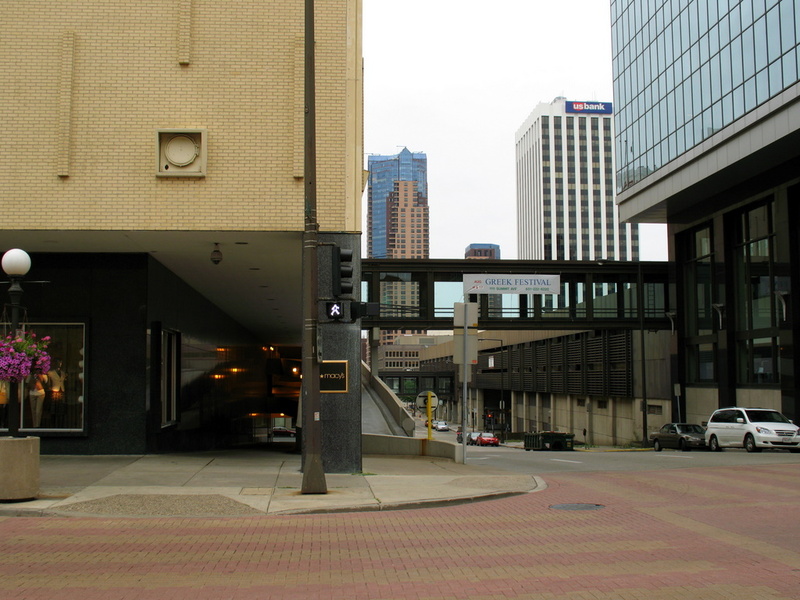 On the corner of Exchange Street and Cedar Street in downtown St Paul. 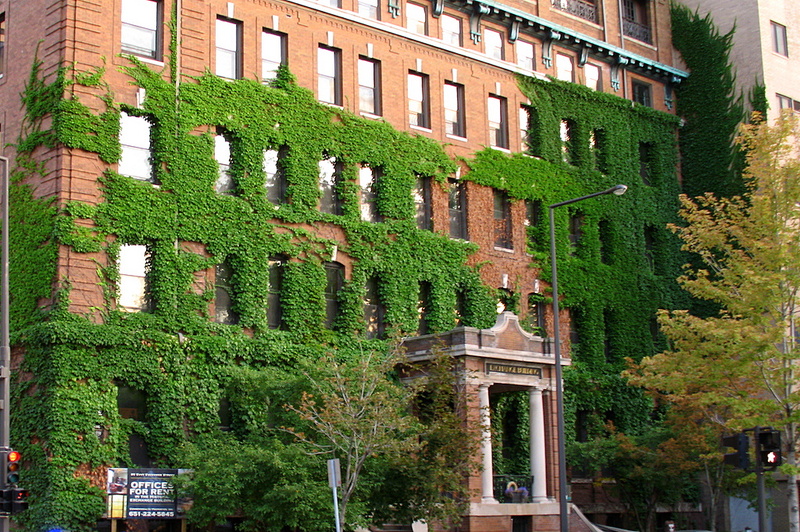 At the end of summer, the green ivy nearly covers the entire front of the building. I will need to do a bit of history search on this building as the sign above the entrance reads 'Exchange Building'. From St Peter Street, a slightly different view of the Saint Paul Hotel in St Paul. 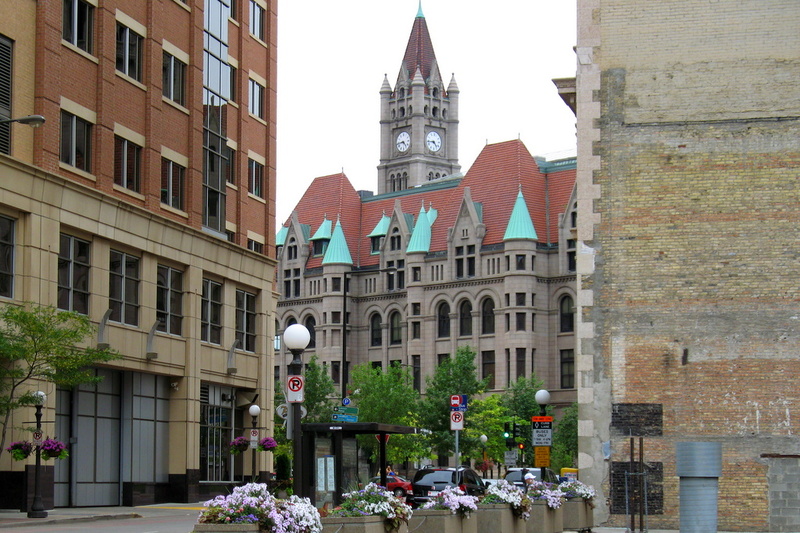 Just showing the difference in building materials, design and style many of the buildings have in downtown St Paul. Starting the season off right, the Minnesota Wild was victorious tonight against the Boston Bruins by a score of 4 to 3. 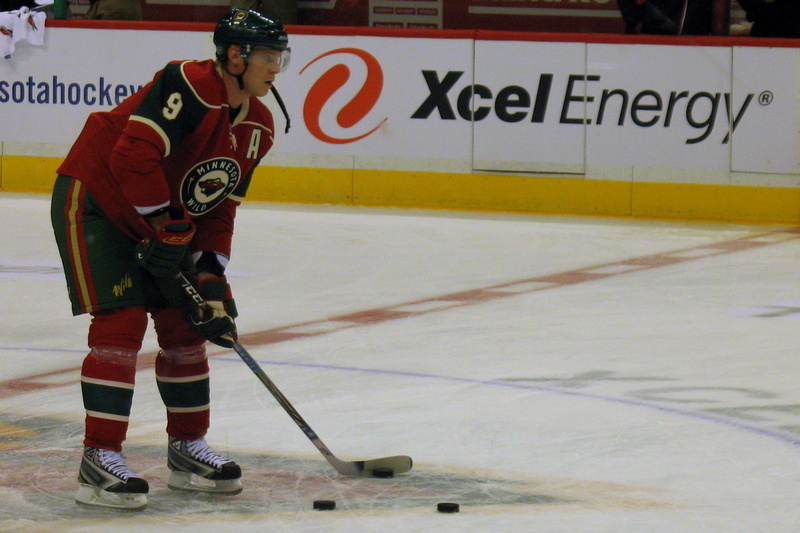 With nine new faces on the Wild's team, there are some familiar faces, number 9 is still Mikko Koivu who was selected 6th overall in the 2001 NHL draft. Returning to the team is number 15, Andrew Brunette. 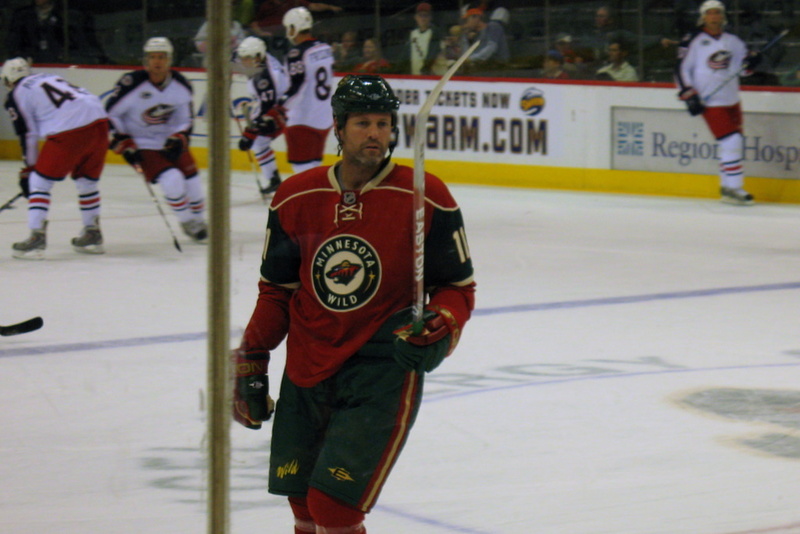 He signed as a free agent with the Colorado Avalanche after the 2004 season completed, but has returned to the Wild after signing a three year deal. 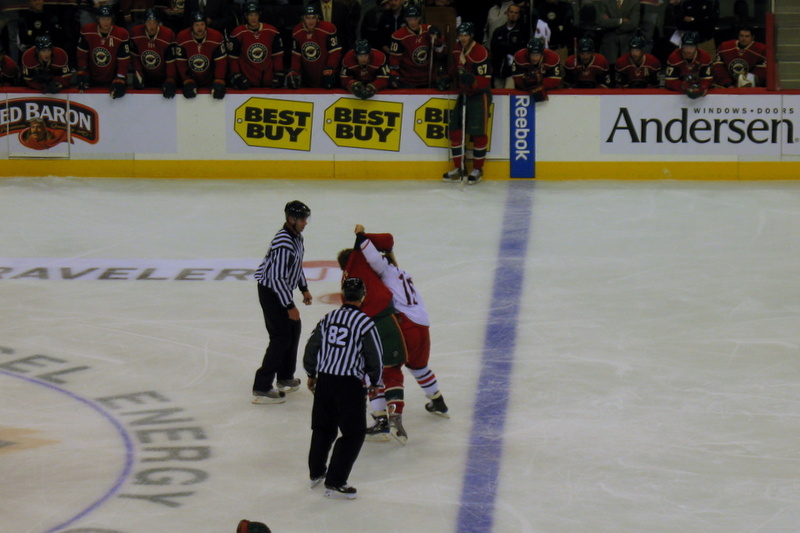 New to the Wild is number 11, Owen Nolan, he has played in the NHL since 1990. 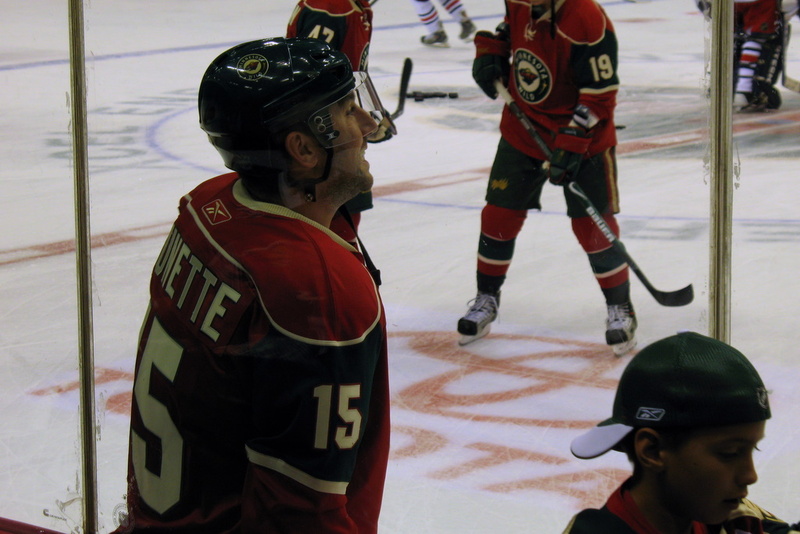 Last season, James Sheppard was number 15, but with Brunette returning to the Wild, his previous number was 15, so Sheppard gave up his number and is now number 51. Now I'm normally not a watcher of Wall Street, but the past few weeks have certainly captured my attention with the wild financial crisis, let alone this week's wild ups and downs in the stock market. My oh my, what a wild ride the stock market took today by itself seeing the greatest margin between highs and lows in the Dow Jones. 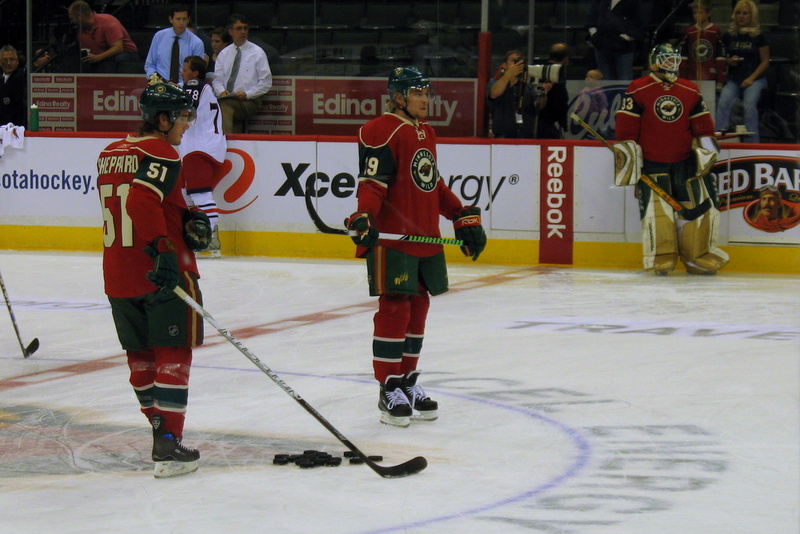 With that said, will I get many groans, if I post a photo today marking the opening day of the Minnesota Wild's 2008 hockey season? Do you see it, the sign in the upper left that reads 'Welcome Back Hockey Fans'? 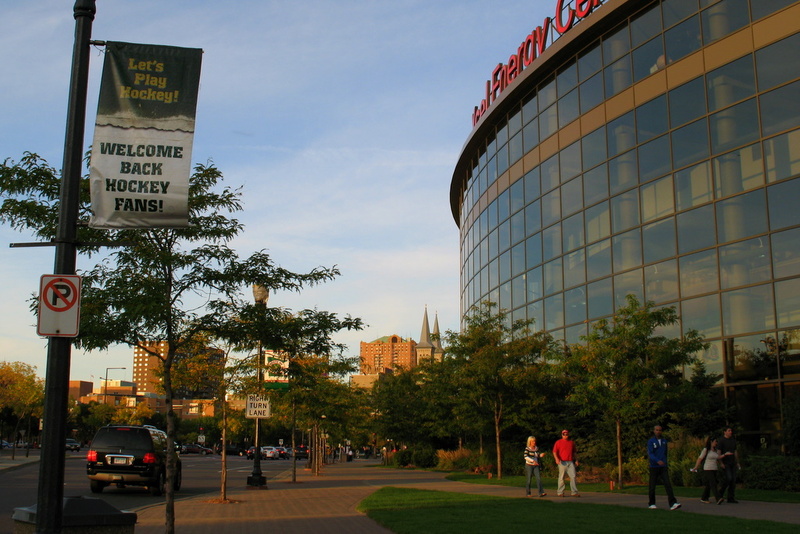 Now I will not be at tonights game, but I will be there for the second home game later this month versus Buffalo Sabers. Got this one driving home yesterday from work. 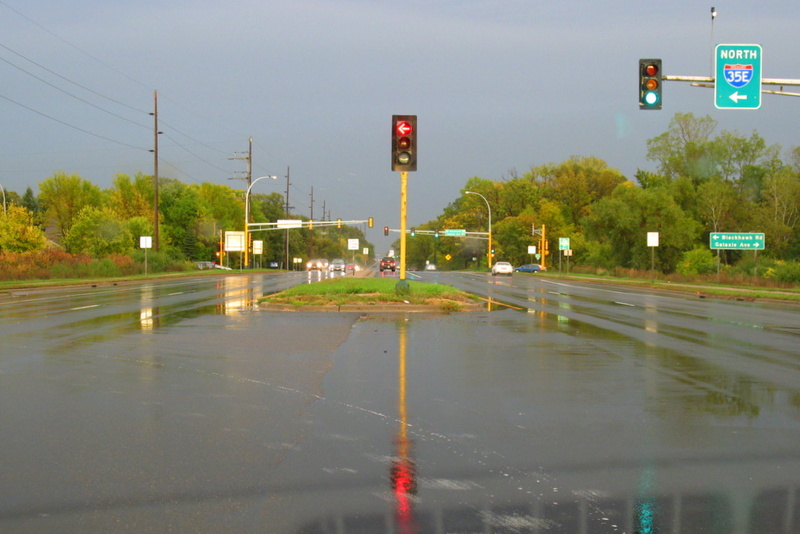 It was about an hour before sun set, a storm was passing through, I was waiting for the red arrow to turn green to make my way onto 35E. This was actually a bit of a challenge as my windshield wipers was in motion. I had to take the photo just after the blade passed my view. I can't see a drop of rain in the photo, but trust me, it was raining lightly when I snapped the shutter. I really like the reflection from the signal light, but what really stands out is the color of the road almost matches the sky perfectly. 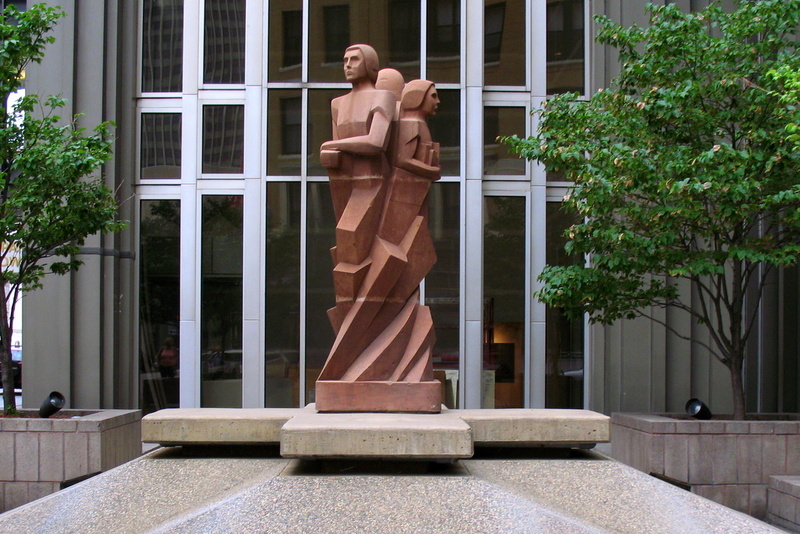 This sculpture stands at in front of the Amhoist Tower in downtown St Paul on 4th and St. Peter. It was dedicated on October 12, 1983, Estanislao Contreras was the sculptor, Juan M. Munguia was the designer. 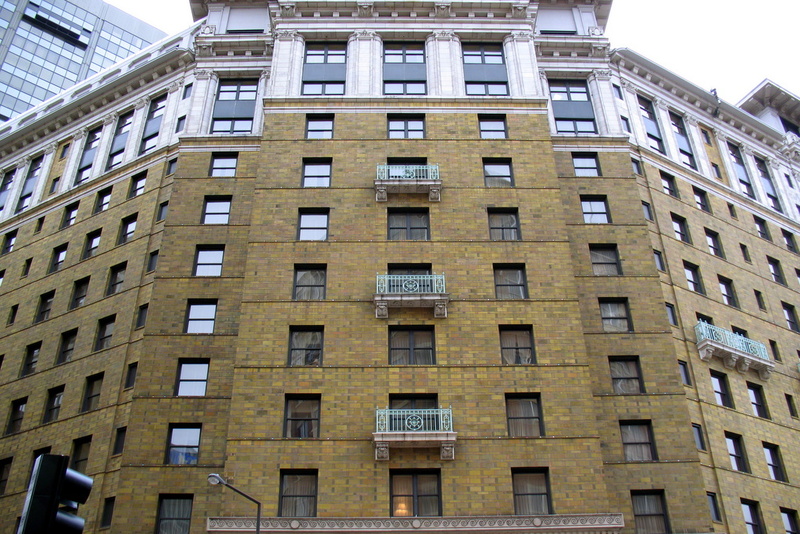 There is a plaque on the cement below, just out of frame that reads "La Nuova Vita (the new life) symbolizes the strength and vitality of the many ethnic cultures that contributed to the growth of this city." 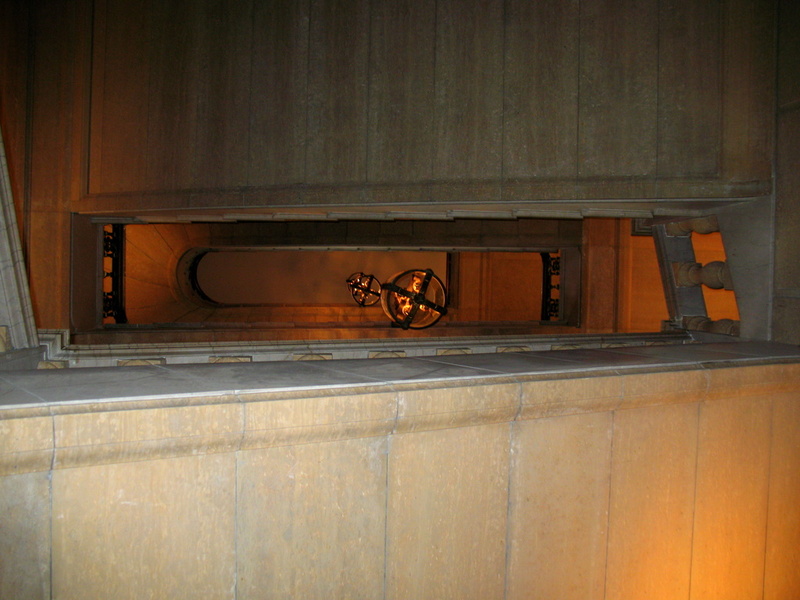 Looking up the stairs inside the James J. Hill Library. 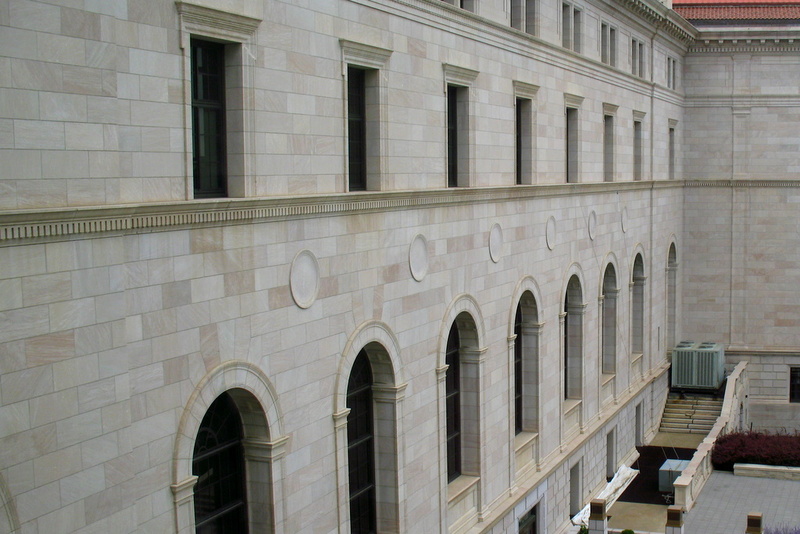 This is the corner of the Macy's building in downtown St Paul. It used to be the Dayton's building until they were purchased by Target. The path on the left side of the photo, where it appears to be a long dark tunnel, and is actually a sidewalk....I've always wondered if one could drive a car down that sidewalk without hitting the side walls. On October 1, the City Daily Photo community held a theme day of 'lines', my original photo was to be today's reflective photo. 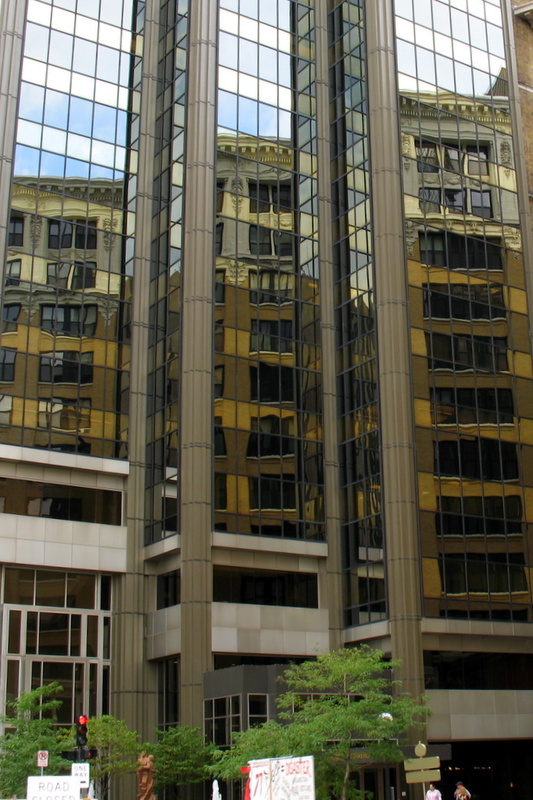 This is one of my favorite buildings in downtown St Paul because of all of the angles and corners it has. I swear, on the days I get downtown to photograph it, it almost always seams to have a cloudy white sky and never a blue sky. One of these days, I'll get down there on the right day. A photo to help us all keep calm after a crazy week in the Stock Market, the financial institutions, Wall Street and the US Government. There were many correct guesses to my mystery item from the October Theme Day. 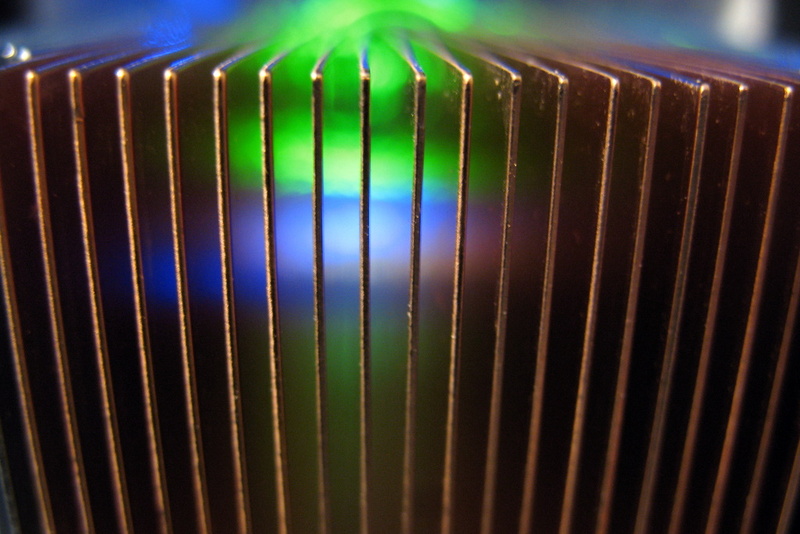 It indeed is a macro shot of a CPU heat sink for an Intel Xeon processor. 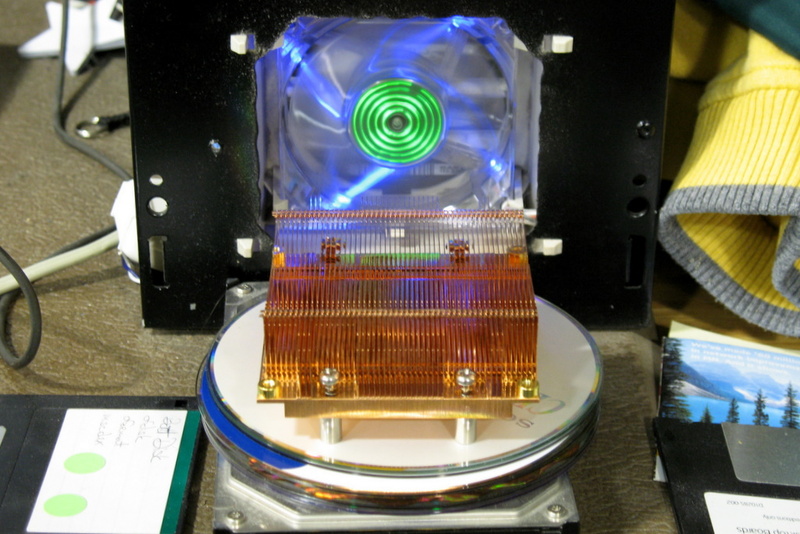 They are made of solid copper and we do recycle many of the extras we end up with over time. The fan I used to add color is one I purchased from an online website. As the fan spins, the lights display a pattern. I would actually have to post a video of it to give you a better description, it's quite unique. The theme day for October 2008 is 'lines'. I found today's theme day in the City Daily Photo Community to be one of my favorites of all of the theme's I've participated in. When one goes out and specifically looks for 'lines' to photograph, they can be found everywhere! 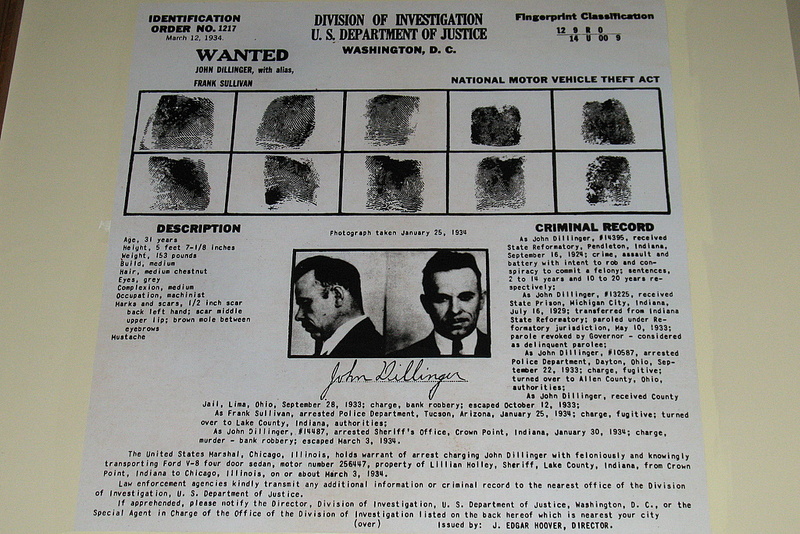 I was looking through my archives and found many examples that I could have easily posted today. I opted for something a bit on the unusual side as I often like to do. If you've stopped by to read the description today, hopefully you're wondering what this is making those lines. Perhaps you have it figured out, perhaps you have an idea what it could be but aren't quite sure, perhaps it's not so clear. Perhaps I'll show you what it is tomorrow. Stop by the other cities participating in the October Theme Day via the links below this photo. Do remember that there are timezone differences between the other cities. Or you can head over to the portal page to see a thumbnail view of blogs that have posted their 'lines' photo.